Voting ri ghts, campaign finance regulations, civil rights, and other core premises of our democracy – including the very rule of law – may be under serious assault by the executive and Congress in the coming years, with similar attacks expected at the state level. State and federal are our forgotten democratic institutions, forming a check on the excesses of other branches and, in the best cases, defending the rights of the least powerful among us. But the public knows next to nothing about what courts do, let alone how we choose our judges. This discussion examined why the courts matter to all the substantive issues we care about, and offers new thinking about how to engage the public as third branch defenders. Speakers discussed how foundations can support work that affirms the courts as an independent check on power, and as an important bulwark against anti-democratic forces. The courts matter: Democratic norms are breaking down, as Johanna Kalb from Loyola University of New Orleans noted, it appears that our “democracy is slowly being hollowed out.” The courts stand as a potential barrier to further erosion and need our help. People are engaged: The importance of the judiciary is increasingly becoming resonant with the grassroots. Activists, protesters, and organizers are mobilizing around judicial issues. Allies and groundwork are key: Despite today’s divisive political climate, classic organizing tactics work but the conversation and targets have changed. It’s most effective to start by shoring up your legislative allies to lay the groundwork for future fights, find unlikely allies that can agree on principles of fairness and impartiality, and have an organizational strategy for staying on top of bad nominees. Messaging matters: 95% of cases filed in the U.S. are filed in state courts. 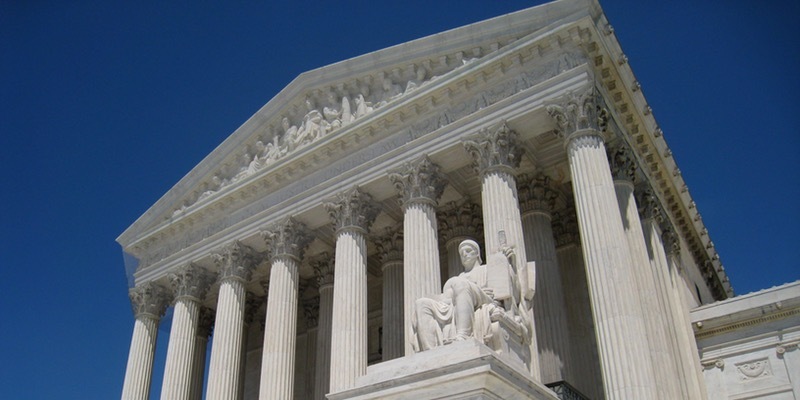 Efforts to engage organizations, the public and legislators have been effective when messaging connects the courts to the issues that matter to people in their daily lives and with the values – and importance – of having a fair and impartial court system. Seek collaboration: Organizations doing separate state and federal judicial work should look for ways to work together to support collective efforts, and share knowledge and resources. When building strong state infrastructure, it is worth considering how the courts intersect with many issues that people care about. Funders and allies are realigning strategies to meet new challenges: Active funder and field discussions are underway about how to counter threats to democratic institutions and norms, including the courts, as well as how to leverage investments in state and federal courts in ways that support all the courts. Please contact Sarah Knight (sarah.knight@opensocietyfoundations.org) or Kathy Bonnifield (kbonnifield@proteusfund.org) to learn more.